Does the History of Psychology have a Future ? History of Psychology invites submissions for a special issue on the future of the history of psychology. 20 years ago, Kurt Danziger published an article with the provocative title, “Does the history of psychology have a future?” and it led to a great deal of comment and debate. The institutional position of the field does not seem to have improved in the meantime. The graduate program in history and theory of psychology at the University of New Hampshire was the only one of its kind in the USA and it was ended in 2009. Although the history of psychology is still widely taught at the undergraduate level, concerns have been expressed over a possible decline in the number of psychology departments offering the course. Professional historians have become increasingly prominent in the field. Could the subject eventually be handed over to them, as has already happened with the history of the physical sciences? Should this development be welcomed? There are many issues to be addressed. We welcome contributions on any aspect of the subject. In order to get as many different perspectives as possible, we welcome contributions from authors in different disciplines (especially psychologists and historians), authors at different stages in their career (from graduate students to emeriti) and authors from different parts of the world. We are well aware that the current situation in the USA may not be representative of the situation elsewhere. The submission deadline is July 15, 2015. The main text of each manuscript, exclusive of figures, tables, references, or appendixes, should not exceed 35 double-spaced pages (approximately 7,500 words). Initial inquiries regarding the special issue may be sent to the regular editor, Nadine Weidman (weidman@fas.harvard.edu) or the guest editor, Adrian Brock (adrian.c.brock@gmail.com). Papers should be submitted through the regular submission portal for History of Psychology(http://www.apa.org/journals/hop/submission.html) with a cover letter indicating that the paper is to be considered for the special issue. 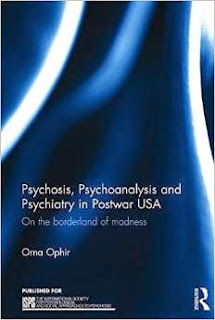 Covering the last four decades of the 20th century, this book explores the unwritten history of the struggles between psychoanalysis and psychiatry in post war USA, inaugurated by the neo-somatic revolution which had profound consequences for the treatment of psychotic patients. Analysing and synthesising major developments in this critical and clinical field, Orna Ophir discusses how leading theories redefined what schizophrenia is, and how to treat it, offering a fresh interpretation of the nature and challenges of the psychoanalytic profession. The book also considers the internal dynamics and conflicts within mental health organizations, their theoretical paradigms and therapeutic practices. Opening a timely debate considering both the continuing relevance and the inherent limitations of the psychoanalytic approach, the book demonstrates how psychoanalysts reinterpreted their professional identity by formalizing and disseminating knowledge among their fellow practitioners, while negotiating with neighbouring professions in the medical fields, such as psychiatry, pharmacology, and the burgeoning neurosciences. Chapters explore the ways in which psychoanalysts constructed - and also transgressed upon - the boundaries of their professional identity and practice as they sought to understand schizophrenia and treat its patients. The book argues that among the many relationships psychoanalysis sustained with psychiatry, some weakened their own social role as service providers, while others made the theory and practice of psychoanalysis a viable contender in the jurisdictional struggles between professions. Psychosis, Psychoanalysis and Psychiatry in Post War USA will appeal to researchers, academics, graduate students and advanced undergraduates who are interested in the history of psychoanalysis, psychiatry, the medical humanities, and the history of science and ideas. It will also be of interest to clinicians, health care professionals and other practitioners. humaines) ont entrepris depuis plusieurs décennies de donner à ce domaine de recherche une consistance intellectuelle qui fasse apparaître des thématiques émergentes, souvent transversales aux disciplines des sciences humaines et sociales contemporaines. Emanant de la SFHSH, cet appel à communication vise à renforcer la visibilité des recherches en histoire des sciences humaines et sociales et à susciter échanges et dialogues entre jeunes chercheurs et chercheurs confirmés qui travaillent souvent dans des institutions ou des disciplines distinctes. Au cours de ces échanges, des problématiques et des objets nouveaux pourront émerger, tandis que des objets déjà étudiés pourront être revisités. -Usages et applications. Des sciences pour l'action. -La question des frontières des sciences humaines et sociales. Arts, littérature, sciences de la nature etc. -Pratiques, méthodes, cultures matérielles des sciences humaines et sociales. -Historicité, sources, historiographies des sciences humaines et sociales. Les propositions de communication hors symposium comporteront une page environ, accompagnées d'une courte bibliographie et quelques lignes de biographie de l’auteur. Ces propositions devront être adressées à la fois à Jacqueline Carroy (secrétaire de la SFHSH) et Nathalie Richard (présidente de la SFHSH) pour le lundi 20 juin 2015. Le conseil d'administration de la SFHSH est le comité scientifique du colloque. Il examinera les propositions en juin 2015 et fera connaître ses réponses aux participants début juillet 2015. Anne-Sophie Chambost, Laurent Clauzade, Jean-Christophe Coffin, Stéphanie Dupouy, Wolf Feuerhahn, Hervé Guillemain, Nathalie Richard. Ensuring America's Health explains why the US health care system offers world-class medical services to some patients but is also exceedingly costly with fragmented care, poor distribution, and increasingly bureaucratized processes. Based on exhaustive historical research, this work traces how public and private power merged to favor a distinctive economic model that places insurance companies at the center of the system, where they both finance and oversee medical care. Although the insurance company model was created during the 1930s, it continues to drive health care cost and quality problems today. 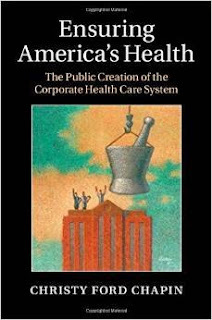 This wide-ranging work not only evaluates the overarching political and economic framework of the medical system but also provides rich narrative detail, examining the political dramas, corporate maneuverings, and forceful personalities that created American health care as we know it. This book breaks new ground in the fields of health care history, organizational studies, and American political economy. With the rise and rapid worldwide expansion of bioethics since the mid-20th century the way to define “the ethical” in medicine has changed dramatically. In this context, the term “medical ethics” ended up being associated with what bioethicists themselves depict as the old (unacceptable) style of practising medicine, that is, medical paternalism and medical ethics understood as mere “medical etiquette”. 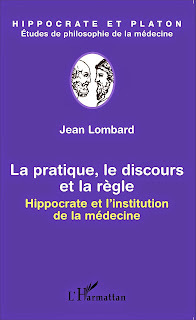 However, in the last few years scholars from different sides, including historians of medicine and bioethicists themselves, have started to adopt a historical approach instead of the bioethicists’ tale to explain the nature and history of medical ethics. This has proven to be a very fruitful undertaking. Inspired by this trend, a collaborative research project on the history of medical ethics in Colombia and the United Kingdom in the 19th century, a comparative study, was launched at the end of 2014. In this presentation I will discuss three aspects related to the Colombian branch of the project: first, the expected contributions of this research initiative not only for bioethics, but also for the development of related fields like history and philosophy of medicine as well as medical humanities; second, the question of how to understand “medical ethics” in a “historical perspective”; and third, an overview of some preliminary findings of the project, in particular that in Colombia shaping the medical profession and building a new country were processes that went hand in hand in this century. La médecine antique nous semble balbutiante et périmée. Elle peut se lire comme un début, une avancée glorieuse mais réversible à laquelle la médecine moderne aurait d'une certaine façon mis un terme. Pourtant, plus qu'un moment daté elle est un commencement, où la médecine de l'Occident est instituée. Hippocrate représente un accès à la genèse archivée mais vivante du geste médical. The Peter Warren Travelling Scholarship funds research projects undertaken by residents, in Royal College accredited programs, studying the history of specialty medicine or postgraduate medical education in Canada. It honours Dr. Charles Peter Warren, FRCPC, the inaugural chair of the Royal College’s History and Heritage Advisory Committee, who provided leadership in our history and heritage activities until his death in May 2011 and made significant contributions over his professional career to the history of medicine in Canada. Residents pursuing studies in the history of specialty medicine or postgraduate medical education in Canada are invited to apply for the Royal College’s Peter Warren Travelling Scholarship. The scholarship funds up to $1,500 per project and encourages recipients to visit our celebrated Roddick Room library in Ottawa, Ont., and research the historical archives of the Royal College. Click here to apply. Send your submissions to awards@royalcollege.ca before September 11, 2015, 4 p.m., EST. Contact us via the same email address if you have any questions. This opportunity is open to residents in a Royal College accredited postgraduate program. Full eligibility criteria and submission details are on our website. 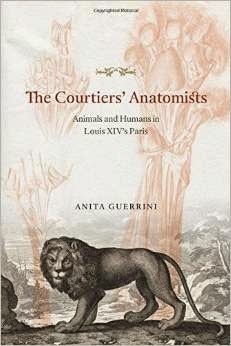 The Courtiers' Anatomists is about dead bodies and live animals in Louis XIV's Paris--and the surprising links between them. Examining the practice of seventeenth-century anatomy, Anita Guerrini reveals how anatomy and natural history were connected through animal dissection and vivisection. Driven by an insatiable curiosity, Parisian scientists, with the support of the king, dissected hundreds of animals from the royal menageries and the streets of Paris. Guerrini is the first to tell the story of Joseph-Guichard Duverney, who performed violent, riot-inducing dissections of both animal and human bodies before the king at Versailles and in front of hundreds of spectators at the King's Garden in Paris. At the Paris Academy of Sciences, meanwhile, Claude Perrault, with the help of Duverney’s dissections, edited two folios in the 1670s filled with lavish illustrations by court artists of exotic royal animals. Through the stories of Duverney and Perrault, as well as those of Marin Cureau de la Chambre, Jean Pecquet, and Louis Gayant, The Courtiers' Anatomists explores the relationships between empiricism and theory, human and animal, as well as the origins of the natural history museum and the relationship between science and other cultural activities, including art, music, and literature. This event is co-organized with the Hannah Unit in the History of Medicine. 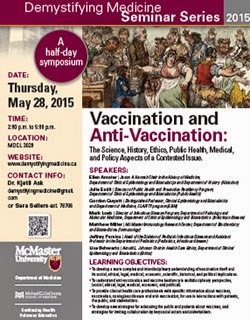 To develop a more complex and interdisciplinary understanding of vaccination itself and its social, ethical, legal, medical, economic, scientific, historical, and political implications. To understand anti-vaccination and vaccine hesitancy in multidisciplinary perspective, (social, ethical, legal, medical, economic, and political). To provide clinical health care professionals with specific information about vaccines, vaccination, contagious disease and anti-vaccination, for use in interactions with patients, the public, and stakeholders. To develop new strategies for educating the public and patients about vaccines, and strategies for inviting collaboration by key social actors and stakeholders. Attendees seeking accreditation will need an ETA (Event Tracking Assistant) account. Please contact Sara Sellers to set up an account. To some, food allergies seem like fabricated cries for attention. For others, they pose a dangerous health threat. Food allergies are bound up with so many personal and ideological concerns that it is difficult to determine what is medical and what is myth. This book parses the political, economic, cultural, and genuine health factors of a phenomenon that now dominates our interactions with others and our understanding of ourselves. 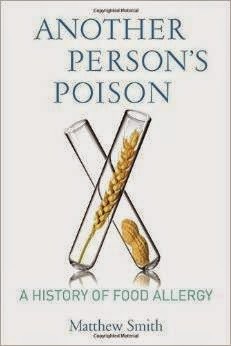 Surveying the history of food allergy from ancient times to the present, Another Person's Poison also gives readers a clear grasp of new medical findings on allergies and what they say about our environment, our immune system, and the nature of the food we consume. For most of the twentieth century, food allergies were considered a fad or junk science. While many physicians and clinicians argued that certain foods could cause a range of chronic problems, from asthma and eczema to migraines and hyperactivity, others believed that allergies were psychosomatic. Another Person's Poison traces the trajectory of this debate and its effect on public-health policy and the production, manufacture, and consumption of food. Are rising allergy rates purely the result of effective lobbying and a booming industry built on self-diagnosis and expensive remedies? Or should physicians become more flexible in their approach to food allergies and more careful in their diagnoses? 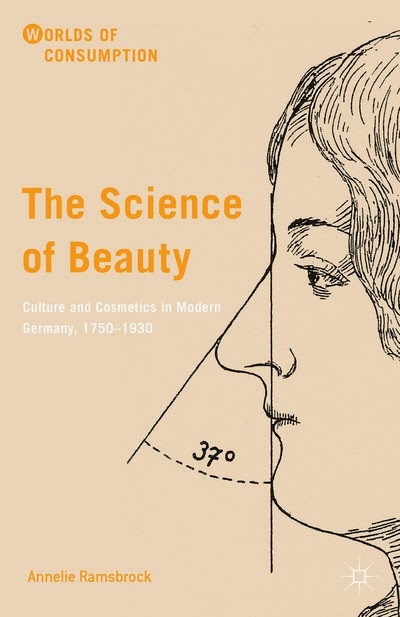 Exploring the issue from scientific, political, economic, social, and patient-centered perspectives, this book is the first to engage fully with the history of what is now a major modern affliction, illuminating society's troubled relationship with food, disease, and the creation of medical knowledge. The history of medicine group within the Center for Medical Humanities of the University of Zurich, Switzerland, seeks to make two appointments (60%) at postdoctoral level, tenable from 1 September 2015. Applications are welcome from scholars with research expertise in any aspect of the history of medicine, in any region of the world, in the period since 1900. We would particularly welcome applications from scholars whose work connects with areas of global health, infectious diseases, HIV/AIDS, drug therapies and public health. The post-holder will be expected to contribute to the delivery of teaching in this broad area at all levels. The history of medicine section at Zurich builds on Erwin H. Ackerknecht’s legacy of an internationally respected, research-active environment and hopes to be a leading voice for the development of Medical Humanities at the University of Zurich. The successful candidate will play an important role in the further development of the teaching, research, public engagement and international reputation of the history of medicine group, as well as working closely with colleagues in the Bioethics and History Departments and in other departments and faculties in Switzerland and elsewhere. Further information on the history of medicine group is available on http://www.mhiz.uzh.ch/. Applications should be sent electronically by 29 May 2015 to Professor Flurin Condrau, Center for Medical Humanities, University of Zurich, flurin.condrau@uzh.ch. Albert Mudry’s History of Otology is fittingly subtitled: A Tribute to Adam Politzer. It has been over a century since Politzer published his classic Geschichte der Ohrenheilkunde (History of Otology) in 1907. His ambitious volume represented the first comprehensive book length treatment of the subject and has long been the standard reference source on otological history. It would not be accurate to consider Mudry’s new volume merely an updated edition of Politzer’s classic. While Mudry’s treatment of the subject mirrors Politzer’s chronological approach, and both works cover the same era (antiquity through the mid-19th century), this contribution is fundamentally a new work. As such, it was created more in the spirit of an homage to Politzer, as an act of reverence and tribute, rather than an effort to modernize a book which was reflective of its time and place. As scholars, the similarities and contrasts between Politzer and Mudry are noteworthy. Each dedicated themselves to excellence in both clinical otology and teaching; each prolific authors with extensive published scholarship; and each ardent bibliophiles with extensive personal libraries of historical texts. However, their career paths diverged in important ways. Politzer only undertook his History of Otology at the end of his nearly a half century of practicing otology. Politzer is better known for his Lehrbuch der Ohrenheilkunde (Textbook of Otology), written during the prime of his career, which is widely acknowledged to be the dominant textbook of its era. This clinical textbook appeared an impressive five editions over three decades (1878 – 1908). Politzer was an erudite scholar who routinely included historical context in his publications, but he lacked formal training as an historian. Mudry, in contrast to his predecessor, is a classically trained historian with a PhD in History from the University of Lausanne. Unlike Politzer, Mudry has dedicated his entire career as a scholar to the study of otologic history. Among otologists who publish historical work of in the field, he is the only one who possesses advanced training in historical research methods. It is not coincidental that one of Mudry’s most noteworthy contributions has been his 333 page biography entitled: Adam Politzer, A Life for Otology. As a 21st century historian, Mudry had several important advantages over his predecessor. Benefitting from today’s international marketplace for old books, journals, and manuscripts, Mudry has amassed an impressive personal library in otological history of some 1200 items (Politzer’s library possessed a mere 229 works)1. Politzer principally used historical resources in Vienna libraries and a few other European sites. Aided by modern high speed travel and bibliographic search engines, Mudry has scoured the world for primary source historical material which was not readily available to Politzer. 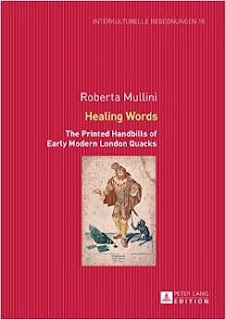 Today, many of the more common historical otological texts and journals are available online in full text, greatly expediting their study. Despite these modern conveniences, creation of a comprehensive compendium of otological history from entirely original sources remains a Herculean task. Important sources can be rare, at times unique, and are widely dispersed geographically. They also appear in a diversity of languages with most earlier references written in Latin or Greek. A key skill of both Politzer and Mudry is a broad facility for languages. Politzer’s history was written in German, the dominant language of scholarship in its time, and not translated into English for three quarters of a century (1981). Mudry’s work appears in English, the more widely accessible language of the present time. In another notable enhancement, the new edition, unlike Politzer’s, contains historical illustrations. 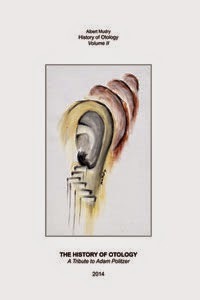 Writing a century after Politzer, Mudry has the added perspective and context provided by the dramatic evolution of otology during the 20th century. During this era enormous advances in our understanding ear physiology and disease processes were achieved. Revolutions in technology such as microscopic surgery, electric drills, and electronic hearing aids greatly enhanced the otological armamentarium. I was pleased to learn that Mudry has plans to complete a thorough study of the second half of the 19th and entire 20th century. This promises to be a most welcome and valuable contribution. Politzer’s 1907 Textbook of Otology was a masterful effort for its time, but nevertheless had limitations in scope, depth, and also contained more than a few errors, omissions, and inaccuracies. Mudry’s new volume surpasses Politzer’s efforts in its comprehensiveness, accuracy, depth of coverage, and exclusive use of primary sources. It shares one important attribute with Polizer’s 1907 text – that it is unlikely to be surpassed in the coming century. There can be little doubt that Politzer would be pleased that care of his legacy has passed to such capable hands. 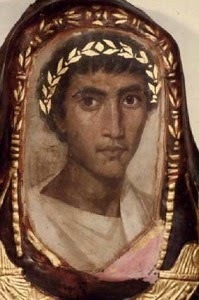 Le seul traité antique d’onirocritique préservé dans sa totalité est celui d’Artémidore de Daldis, auteur grec de la fin du IIe siècle de notre ère. Depuis septembre 2007, le groupe Artémidore en a entrepris une nouvelle édition et traduction annotée. En mars 2009, il a organisé une première journée d’études autour de cette œuvre et de l’interprétation des rêves en général. Celle-ci sera la cinquième. Baghdad led the world in medicine and surgery during the Abbasid period. Following organised efforts to determine what earlier societies knew of medical care, Baghdadi physicians produced a rich and innovative medical literature while government officials demonstrated serious interest in public health. Muslim, Christian and Jewish physicians worked together in hospitals and served as court physicians. 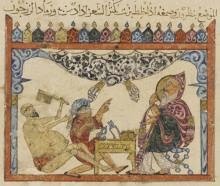 In this illustrated lecture for BISI, Professor Emilie Savage-Smith will give examples of the treatments available in Baghdad during the ninth and tenth centuries for ailments such as asthma, hay fever, sore throat, infected tonsils, missing teeth, eye inflammations, cataracts, broken bones, embedded arrowheads, indigestion, diarrhoea, and dislocated shoulders. During the English Restoration, London unlicensed health carers printed handbills as the easiest way to advertise their medical practices. In order to increase our awareness of irregular medical practitioners as a cultural phenomenon and examine their language, two collections of handbills have been transcribed. The study analyses the lexicon used to address readers, the traits of orality in written communication as well as the places where proprietary medicines were sold. Furthermore it looks closely at the visual impact of some handbills and the role of anti-quack satire at the end of the seventeenth century. All are welcome to attend the Kings College London Annual Lecture in the History of Health and Medicine, to be held at 5pm on Weds 3 June in the Anatomy Lecture Theatre, K6.29, Strand Building, Strand, followed by a reception in the anatomy museum. Between the 1860s and 1950, the “third pandemic” of bubonic plague spread globally via infected rats, ships, and people through urban “plague ports.” Public health officials in ports of entry in former settler societies—South Africa and the United States among them—blamed Asian immigration and severely disciplined the “foreign” people, rats and fleas thought to have imported the disease. To their shock, the disease appeared again within a few years, this time among native white farmers living inland, and “sylvatic” (wild) animals. As South African plague investigator J. Alexander Mitchell put it, the discovery of a link between sylvatic plague and human epidemics was a “rude awakening” that “opened a new chapter in the history of plague” and changed the identity of the disease. This lecture combines historical analysis and recent phylogenetic evidence to trace plague’s changing identity from a disease of people and rats, to a larger biological phenomenon affecting a wide array of species and places. In the process, plague’s social, cultural and scientific identities underwent significant transformation. No longer could public health officials hope that “the disease had been completely eradicated from the country,” nor was it ever likely to be eradicated—a conclusion that has reverberated through the decades to inform our current concerns over emergent and re-emergent diseases. En abordant le thème de la santé et de l'environnement, Rhinfilm invite à prolonger la découverte des films « inédits » - institutionnels et amateurs – dans le Rhin supérieur. Films de prévention, films d'information sanitaire, film de sécurité professionnel… Dans la première moitié du XXe siècle, le cinéma utilitaire a fréquemment placé la santé au coeur de son discours. Il s'agit d'encourager la pratique du sport, de stigmatiser la consommation d'alcool sur le lieu de travail, d'informer sur les aménagements d'hygiène nécessaires dans l'espace public ou domestique. Diffusant une morale des corps, le cinéma utilitaire promeut par ailleurs la maîtrise de l'environnement par des efforts d'équipement et des innovations techniques. A ces mises en scène de commande, les différentes séances de Rhinfilm associent des archives de films amateurs. Pour ce cycle, nous distinguerons ceux qui gardent mémoire des étapes du combat écologiste entrepris par Solange Fernex : images d'un cinéma amateur et militant au service d'une mobilisation politique de part et d'autre du Rhin. Soirée I. Le corps entre norme et idéal. Soirée II. Le corps moyen de production : travail, sécurité et rendement. Soirée III. Le corps et l’environnement : santé et écologie. Le projet « Projections du Rhin Supérieur, RHINFILM » implique les Universités de Strasbourg et de Heidelberg, en partenariat avec l'Association MIRA (Mémoire des Images Réanimées d'Alsace) dans le cadre du programme INTERREG IV Offensive Sciences, avec le soutien de l'Union Européenne, la Région d'Alsace, le Ministère pour la Science, la Recherche et l'Art du Land de Bade-Wurtemberg, le Ministère de la Formation, des Sciences, de la Culture et de la Jeunesse du Land de Rhénanie-Palatinat via les Fonds Européen de Développement Régional (FEDER) – Dépasser les frontières : projet après projet. Applicants should email an abstract (of no more than 300 words) and a short biography (no more than 100 words) to hstm.conf.2015@gmail.com by 29 June 2015. Informal enquiries should also be sent to this address. Proposals for panels and roundtables (of one and a half hour duration) are also encouraged. Edited by Hugo Klappenbach (Universidad Nacional de San Luís, Argentina), Ana Maria Talak (Universidad de La Plata, Argentina), Cristiana Facchinetti (Fundação Oswaldo Cruz, Brazil) and Ana Jacó (Universidad do Estado do Rio de Janeiro, Brasil). 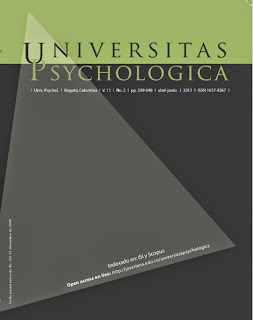 Presentation Special Issue Consolidation of the history of psychology in Latin and Iberoamerica. The University of York seeks to appoint a full-time, fixed-term Teaching Fellow in the History of Science and Medicine in the Early Modern Period (from 1500 to 1800). The position is based in the Department of History on the Heslington West campus and available from 15 September 2015 for nine months until 14 June 2016. You will be responsible for developing and delivering teaching across the Department, marking assignments and supervising students. You should have a postgraduate degree in the area of History of Science/Medicine or cognate field (or equivalent experience), with appropriate knowledge of the subject area to be able to develop and deliver teaching to students at different levels of academic ability. Proven experience of teaching at undergraduate and/or postgraduate level in the Higher Education sector is essential, as is evidence of planning and design of teaching material. The University of York is committed to promoting equality and diversity. 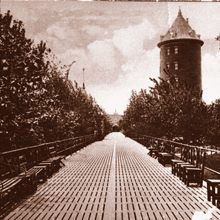 «Ouvrir les portes de l’hôpital, débarrer les portes de l’hôpital», selon le psychiatre Denis Lazure, n’était pas une façon d’imager sa pensée, mais bien un geste concret nourri par le vent de changements qu’insufflait la révolution psychiatrique des années 1960. 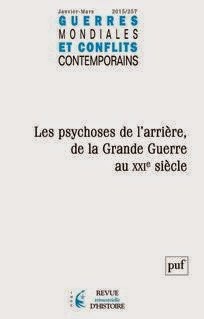 Certes, la Commission d’études des hôpitaux psychiatriques et les conclusions de son rapport (Bédard, 1962) permettaient de croire à un vaste projet de désinstitutionnalisation psychiatrique au Québec. Nous jugeons qu’il est à propos de déplacer le point de vue sur la question de cette grande réforme pour s’intéresser à celui du patient lui-même. Cela afin de nous demander quelles sont ses propres inquiétudes quant à l’avenir suite au processus institutionnel de mise en liberté définitive? Ce questionnement propose une réévaluation des résultats peu concluants qu’a connus la première vague de désinstitutionnalisation psychiatrique au Québec, cette fois-ci, attachée à relater et prendre en compte l’expérience des patients. L'inscription n'est pas obligatoire mais elle est fortement recommandée. Préface du Professeur Iba Der Thiam. Cet ouvrage, composé de trois parties subdivisées en une dizaine de chapitres, propose une approche historique des questions de santé et les modalités de prise en charge des enfants. Il y est étudié l’état nutritionnel des enfants pour mieux mettre en exergue ses relations avec la santé avant d’analyser les pathologies prioritaires, la politique sanitaire et d’action sociale des pouvoirs coloniaux en faveur de l’enfance. 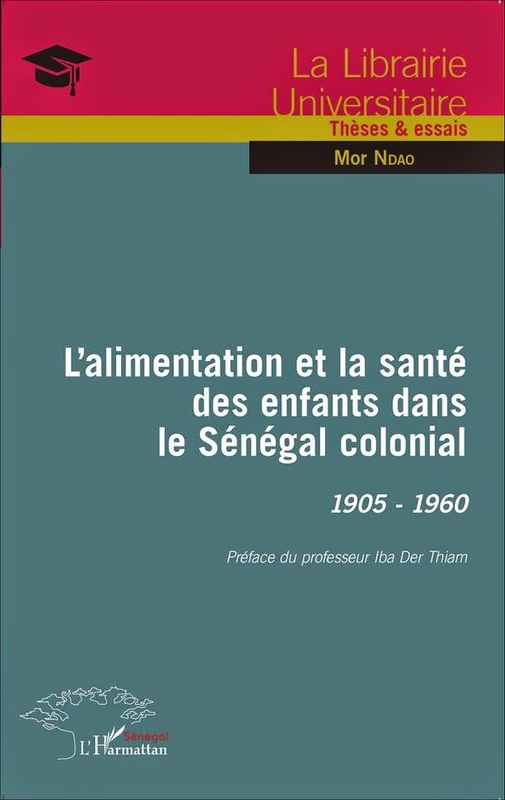 La deuxième partie structurée en cinq chapitres explore l’évolution de la morbidité et de la mortalité des enfants dans la colonie de 1905 jusqu’à l’orée des années 1960. Elle examine les maladies virales dont certaines, spéciﬁques à l’enfance, à l’image de la rougeole et de la poliomyélite, constituent de véritables moissonneuses de vies infantiles. The plot of Emergency Call (1952)—part public-information film, part cinematic thriller—revolves around a search for ‘rare blood’. A five-year-old girl has arrived in hospital suffering from leukaemia, and to save her life the doctors need to transfuse her with three pints of blood. They realise that the only three people alive in the country of the correct blood group are: a missing boxer; a person they refer to as a “coloured” sailor; and a “murderer on the run”. The boxer is trying to evade the clutches of a criminal gang; the sailor refuses to donate owing to a past experience in which his blood was rejected because of the colour of his skin; while the ‘murderer’ is now hiding behind an assumed name and new identity. The film follows the heroic doctors as they set out to find and persuade the unruly would-be donors to give their blood. This drama about ‘rare blood’ combines themes of race, civic duty, bureaucracy, and identity. 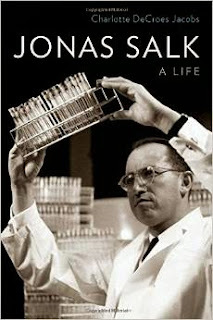 These are also the major themes of my book project, which argues that the technologies of blood testing, storage, and administration expanded and consolidated the science of human genetics. During the mid-twentieth century, blood groups were abundantly produced and studied in hospitals, transfusion centres, doctors’ surgeries and university laboratories. They were also the first (and until the 1960s almost the only) sharply defined human genetic traits. Through the institutions, technologies and networks of blood transfusion, geneticists accumulated vast quantities of blood-group data, turning them into resources for studying human identity, difference and belonging. My paper offers a glimpse of how the infrastructures and bureaucracy of blood transfusion in Britain shaped postwar genetic research. It argues that the practices, politics and places of blood-group collection helped to establish the powerful authority of human life and its past.